ONLY 13K, $100,100 MSRP, LOADED: M Performance- ($8,100), Competition- ($4,250) and Executive- ($3,200) Package, M Double Clutch Transmission ($2,900), Carbon Fiber Rear Diffuser ($1,570), 20 inch M Wheels 666M w/perf. rft., Head Up Display, Rearview Cam., Comfort Access/Keyless Go, M Adaptive Suspension, Active Driving Assist, Navigation, Park Distance Control, Aerodynamic Kit, Shadowline Exterior Trim, Tilt and Telescoping M Sport Leather HEATED Steering Wheel, Dual Power Heated M Sport Seats, Power Side Bolster, Lumbar Support, Neck Warmers, Driver Memory Seat, Power Rear Seat Easy Entry, Harman Kardon Surround Sound, HD Radio, CD, Sat. Radio, Apple Carplay, WiFi Hotspot, USB/Audio Interface, BMW Assist, Enhanced Bluetooth with Smartphone in, BMW Online and BMW Apps, MINERAL GREY Metallic ($700) with SILVERSTONE Full Leather ($2,550), Carbon Fiber extererior Accents, Carbon Fiber Interior Trim, Anthracite Headliner, Ambiance Lighting, Power Folding Mirrors, Split Fold Down Rear Seat, Headlamp Washers, Automatic High Beams, Adaptive Full LED Lights, fully Automatic Projector Beam High Intensity Low/High Beam daytime Running Auto-Leveling Directionally Adaptive Headlamps. This car is in PRISTINE condition and is under 4 years/50K miles full factory warranty. We offer GREAT FINANCING rates and take TRADE-INS. The car is CARFAX and AUTOCHECK certified. 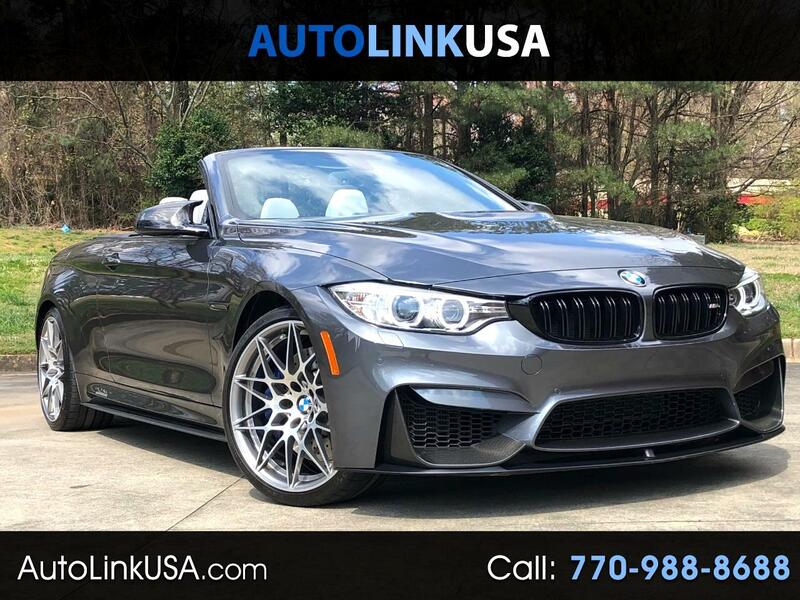 For a FREE report or any questions you may have please visit our website www.autolinkusa.com or contact us by phone, 770-988-8688, email, info@autolinkusa.com or text 770-480-1385.